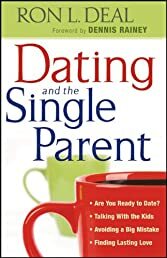 Single parents who are dating or want to begin a dating relationship wonder, How will dating affect my children and my parenting? They probably have figured out that "dating in a crowd" is complicated. Now they're looking for help. Ron Deal, who has counseled single parents and remarried couples for many years, helps single parents--as well as those who date them--navigate the potential pitfalls involved. He gives perspective on when a relationship may be harmful to the children as well as how it can be a blessing to all. Always at the forefront is the goal of strengthening families. Includes questions for individual or group study.